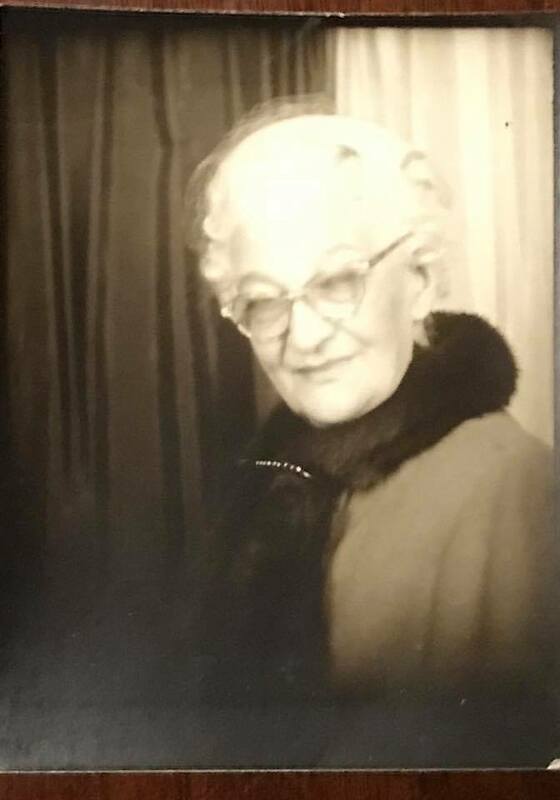 Many have heard me speak of my great-grandmother. I adored her. When I was a little guy, growing up in Columbus, she lived across the street from us. She always spoke to me as though I was a grown-up and helped to spark my interest in history and politics, among other things. She was a devoted follower of Jesus and often when I barged in on her unannounced, she would be reading the Bible, which she read through completely thirteen times in the course of her life. She often spoke with me about Christ and her faith. She spent hours and hours with me, which is fairly remarkable when you think about it, remarkable that she had such patience, remarkable that I so loved our time together. When she was hospitalized after suffering several strokes, she asked if I could come to see her. That was when children under 15 weren’t allowed to visit the hospitalized. But the doctor gave the go-ahead and I was happy to see her. She lived for only a short time after that. (My grandparents brought her to be with them before she passed and I got to see her the night before her death, though the strokes had robbed her of her memory of me.) I was comforted on the morning after her death when my mom told me that grandma was then walking the streets of gold in eternity. She died when I was eight and, without doubt, she remains one of the most influential people in my life. Her influence goes beyond the interactions I had with her when I was a little boy, though. Unbeknownst to me, my great-grandmother called me her “little preacher.” She was a woman of prayer and I’m sure that she included me in her praying. I became an atheist in my teen years and remained so into my early twenties. But then, through the witness of a church family and another elderly woman who took me under her wing and showed me what it means to be a disciple of Jesus, I came to faith. After that, I sensed God’s call to pastoral ministry. I am certain that the prayers of my great-grandmother, long gone by the time I came to faith or became a pastor, remained lodged in the heart of God, Who is eternal. He heard her prayers and eventually, through my hearing of God’s Word which loved me to faith, they were answered. Never give up on prayer in Jesus’ name because He never gives up on us and He never forgets our prayers! I’m thankful for the life, witness, and prayers of my great-grandmother. She wasn’t perfect, but she was faithful and she’s one of the people God used to bring me to life through Jesus Christ. This picture shows her just as I remember her, obviously taken shortly before her death at age 76 in 1962. My dad gave this picture of her to me yesterday.